500 is finally here! 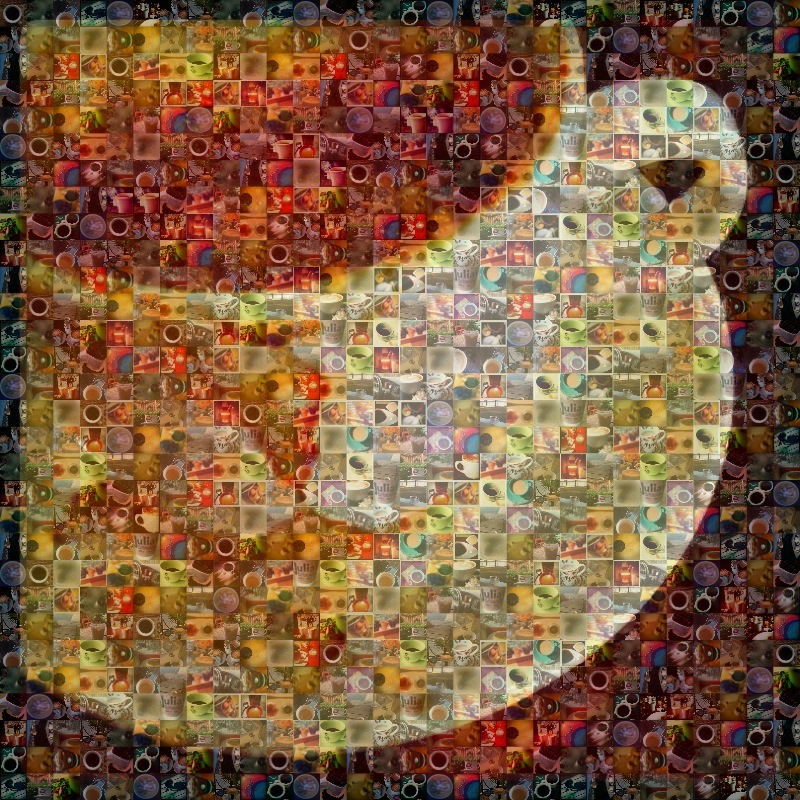 Thanks to Janine for the base photo for this mosaic made up of all the Chroma Cafe images from this week. It’s been fun joining you guys this week. Can’t wait to see the next 500. I know—the past three days have been full of rainbow colors—but honestly, the soul of coffee is in the colors cream, brown, and black. One more day until we hit the big half way point! Today’s contributors include: Kim, Christy, Brooke, Nicolle, Tonya, Brigindo, Kate, Kathleen, Mia, and Jussi. Here’s a hit of the cool colors to soothe yesterday’s sunburns (people get sunburns, right?) It’s still pretty cloudy in Vancouver, but I think that today might actually mark the changing of the season. Summer! Today’s contributors are Nicole, Kim, Jussi, Quinn, Brendan, Brigindo, Jade, and Ken. 461-471. Chroma Cafe: Summer colors! Well, it’s another rainy day in Vancouver, but here’s a bright series of yellows and greens for your Tuesday morning! Contributors to this post: Kate, Jade, Quinn, Kathleen, Brendan, Angela, Elle, Jesse and Kim. Hi all! Kate here, guest editor for the dashing journey from cup 450-500 in five days flat. Each day focuses on specific colors–here’s a hit of caffeinated red and orange to get your week started. Enjoy! This series of 50 cups was generated by contributors on the go with their cell phone cameras. Thanks to James, Janine, Kate, Kim, Quinn and Bernadette.